When the Hollies were inducted into the Rock and Roll Hall of Fame a few years back, I was at first surprised because I always tend to pigeonhole them with the other ’60s British Invasion bands that were not named the Beatles, the Stones, the Kinks and the Who. But after sifting through this 3-disc collection marking the band’s 50th anniversary, my opinion rapidly changed. 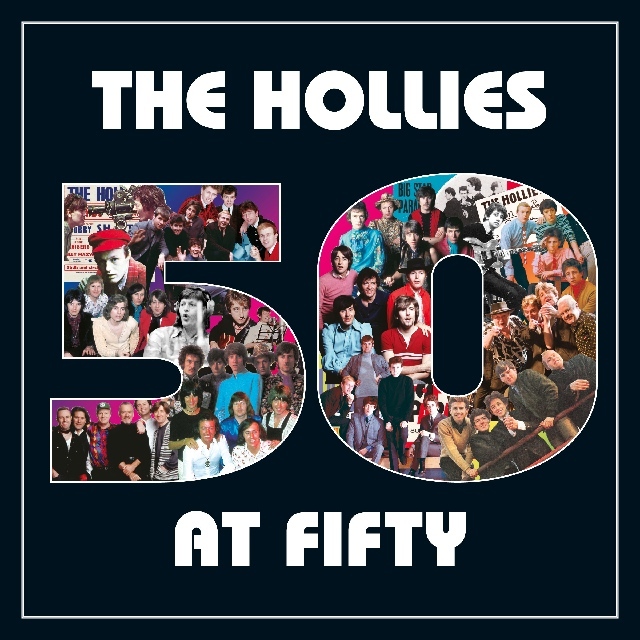 Sure they’re best known for their hit singles in the ’60s and early ’70s, but 50 at Fifty offers a much more thorough overview of a career that is still somewhat dwarfed by the aforementioned peers. Featuring three talented singer-songwriters in Allan Clark, Graham Nash, and Tony Hicks, the Hollies crafted some of the most winning pop songs highlighted with strong vocal harmonies, from “Bus Stop,” Stop! Stop! Stop!,” “On a Carousel” and “Carrie Anne” in the mid-’60s; success still followed them after Nash’s departure into the ’70s with “The Air That I Breathe,” “He Ain’t Heavy, He’s My Brother,” and the bluesy rocker “Long Cool Woman.” While certainly they don’t measure to their earlier successes, the songs the band recorded from the ’80s through the present day have their strong moments, including the very orchestral “Soldier’s Song,” a remake of “Stop in the Name of Love,” “Too Many Hearts Get Broken,” and a lovely and powerful new ballad called “Skylarks.” Although the album sleeve could have featured a bit more information about the group’s history and credits, 50 at Fifty is a fine tribute to the Hollies’ legacy and a reminder of their indelible contribution to pop music.